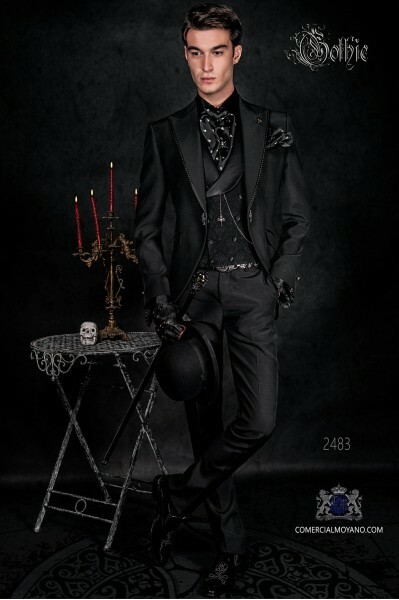 Gothic There are 42 products. 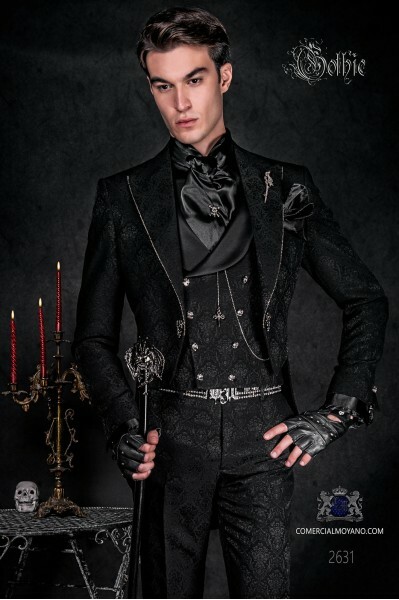 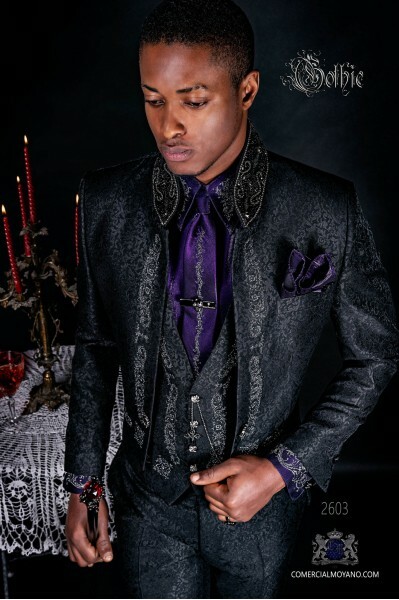 Gothic suit frock coat. 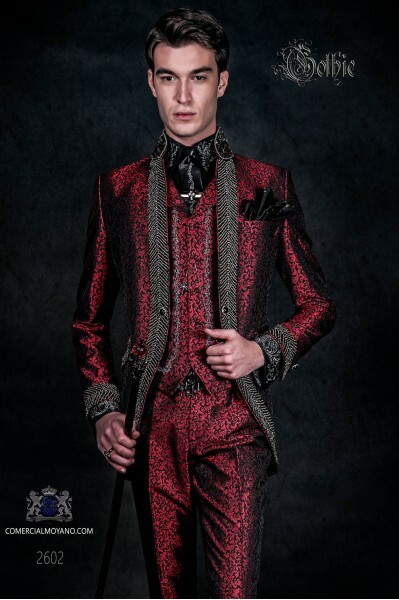 Redingote is a frock coat with peak lapels, chest pocket, tailoring pockets with stylish sloping flaps. 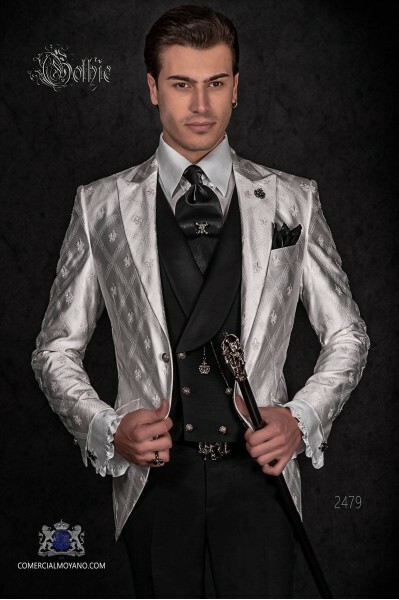 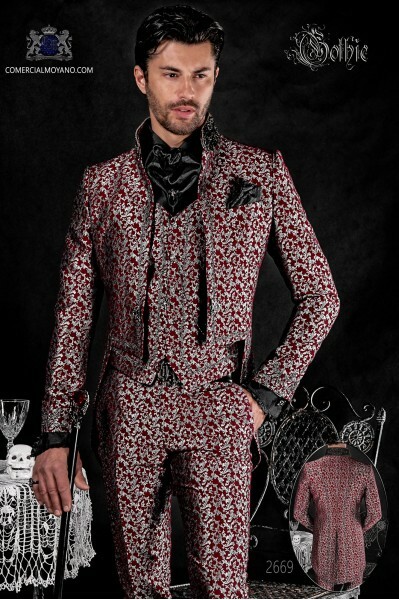 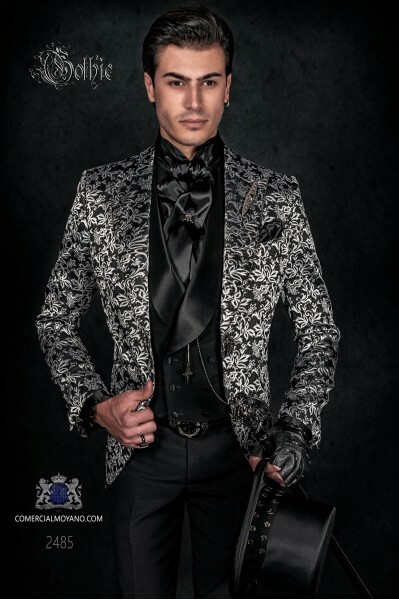 Gothic Suit made of white satin with fleur de lis embroidery.Delivered with Ottavio Nuccio Gala clothing bag. 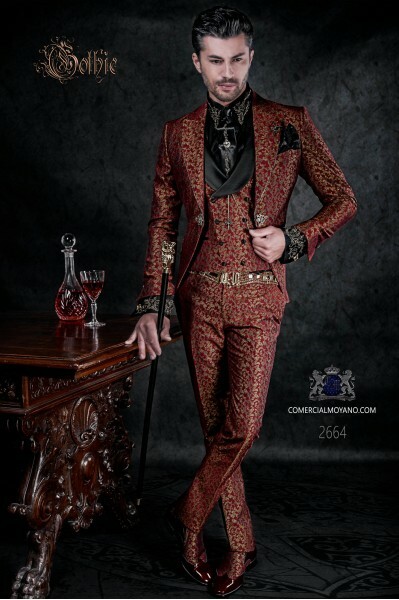 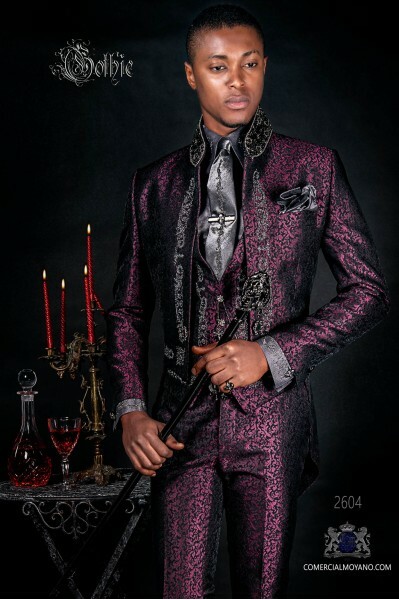 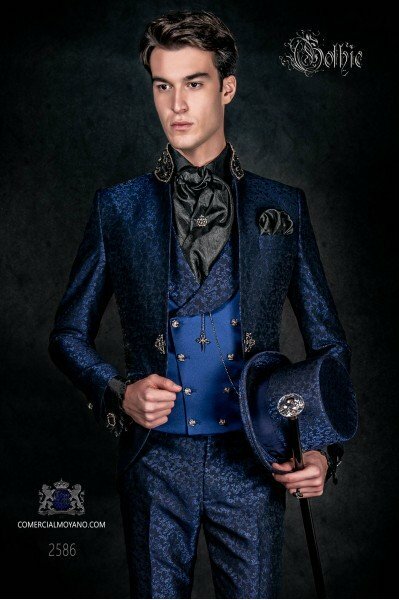 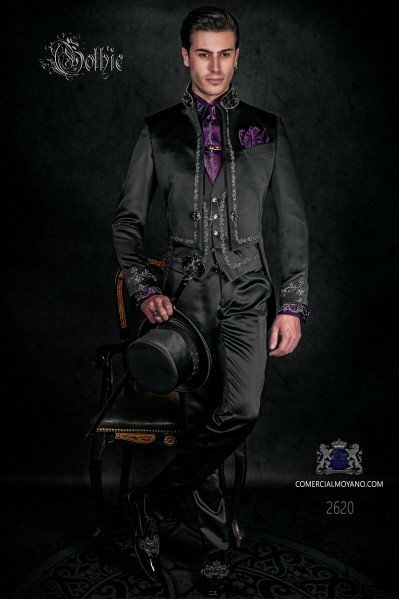 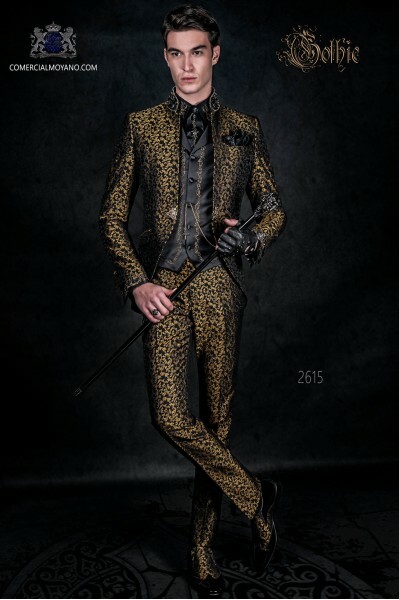 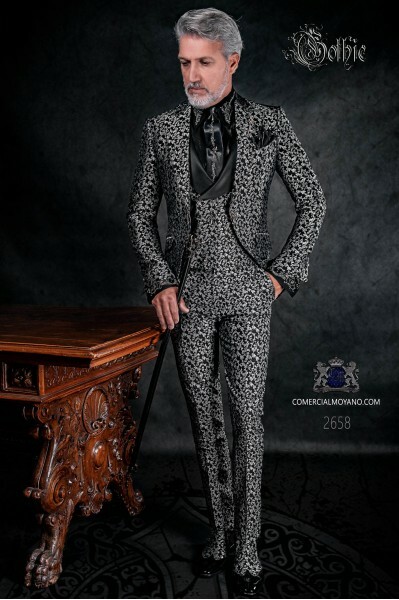 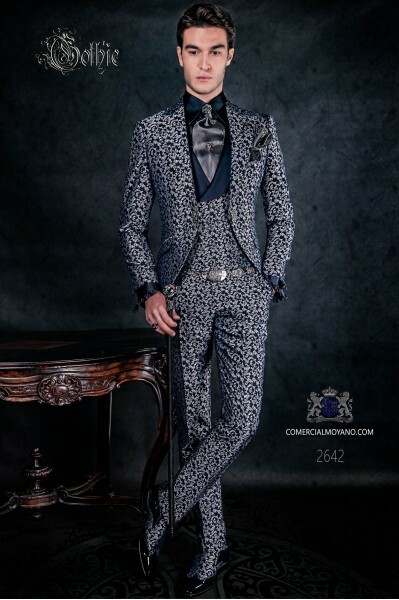 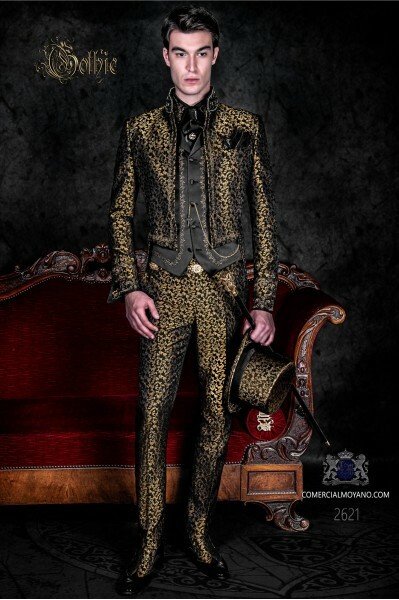 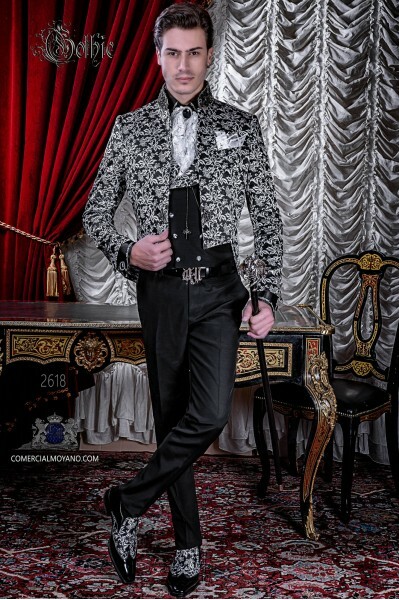 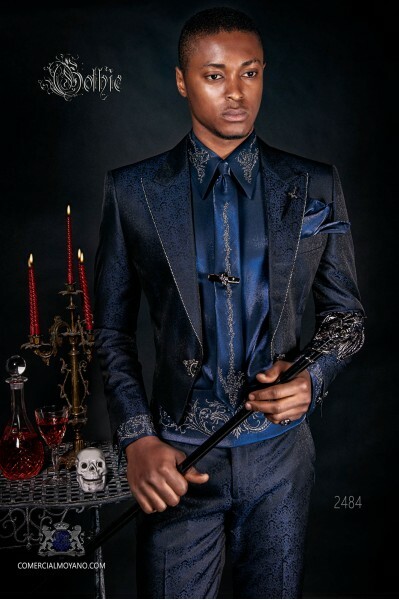 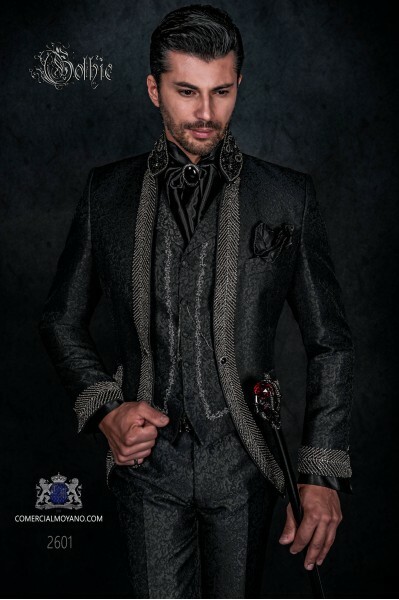 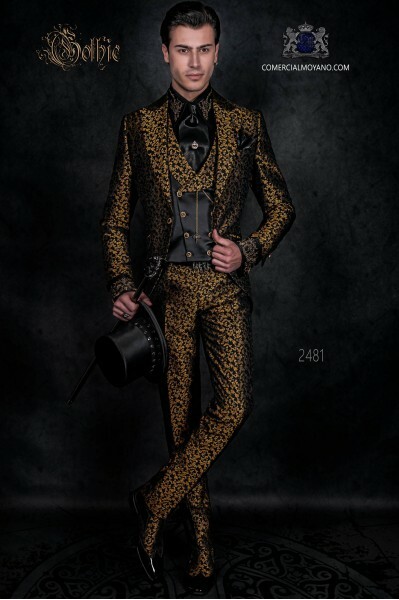 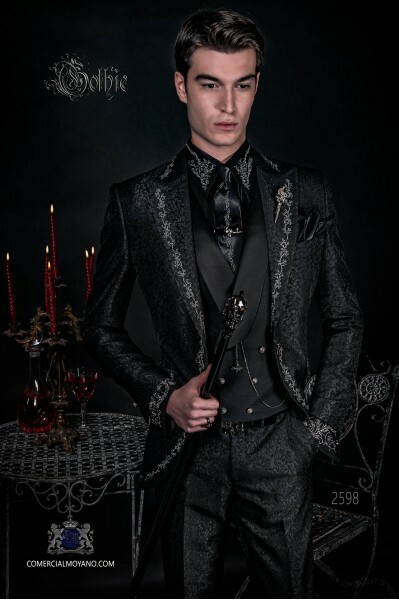 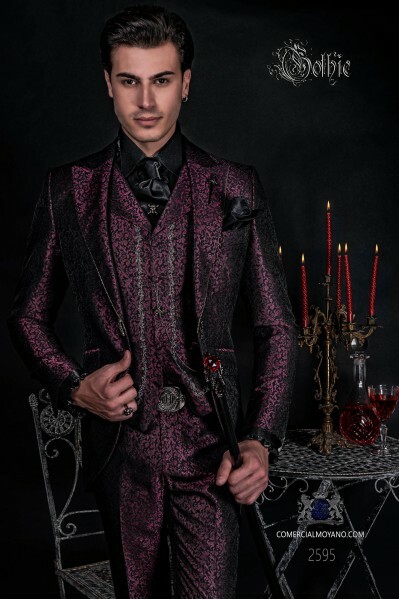 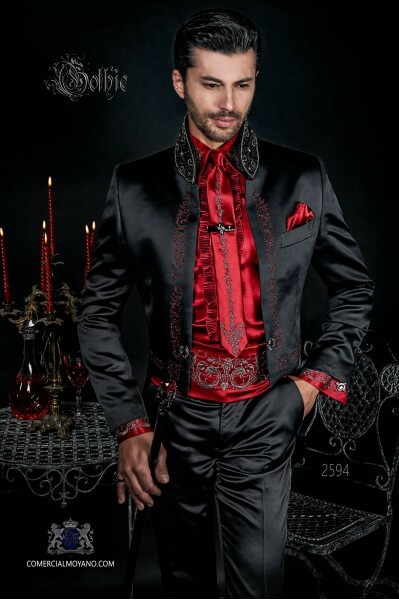 Vintage Men wedding frock coat in blue-black brocade fabric with Mao collar with black rhinestones, tuxedo wedding suit 2586 Ottavio Nuccio Gala Gothic collection.